Bangalore is a vibrant city which is always up and alive with its streets thickly packed with all kind of people. The city is very trendy and growing up to be a popular metro city. With multiple shopping malls and busy streets, Bangalore is the first choice for any youngster. The city is a pool of shopping malls with high-end facilities. The popular city has perfect climate and location to satisfy one’s quench for fun and fun unlimited. 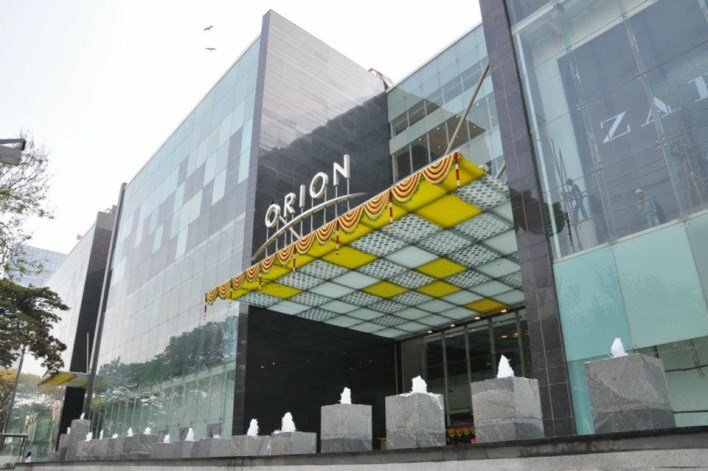 Orion mall is one of the well designed and perfectly planned malls in Bangalore. The Shopping Mall contains everything to cater the needs of the shopaholics and window shoppers. The mall is designed by the H.O.K a famous architectural firm in New York. For entertainment and fun there are PVR movies, Bowling etc. It is one of the largest shopping malls in Bangalore. Phoenix Market City is located in Mahadevapura on the White Field Road. The specialty of the mall is the open courtyard in the front that hosts multiple events like musical concerts, live shows, painting competitions etc. This is one of the finest malls in Bangalore and contains a wide range of shops and food courts to outfit the needs of the public. Finest and branded shops fill the mall. The mall also serves all kind of Italian and Indian cuisines. The mall is spread across 1.3 million sq. feet and accommodates a wide range of shops containing a variety of brands for customers. The mall is well equipped for kids, elders, handicapped etc. One of the best malls in Bangalore, the Mantri Square contains restaurants that serve a plethora of food variants. The only constraint is the parking issue being in the heart of the city. The deluxe mall in Bangalore is the UB City Mall. The mall spreads across 16 Lakh sq. and can even accommodate a 1600 cars in the Triple Level puzzle parking in the mall. The mall contains individual blocks that are distinctively named as Kingfisher, Comet, Canberra, Concord, Kingfisher Plaza and the UB Tower that completes the UB mall. 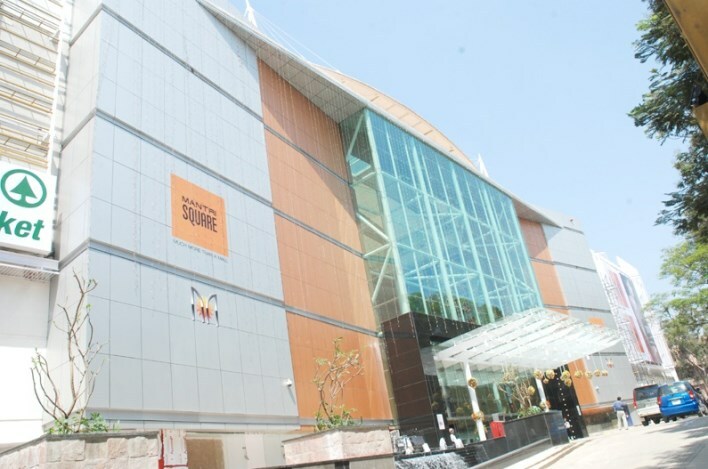 House of all branded shops and restaurants serving the lip smacking dishes that satisfies one’s need, the Inorbit mall is an exceptional walk-through experience for any tourists. The mall contains national as well international brands and is a unique experience for families to visit the international brands. This mall in Bangalore also host few events on special occasions. Excellent services, multilevel shopping experience and mouthwatering delicacies served make the Royal Meenakshi mall in Bangalore is a splendid location to spend your weekends. The mall is always packed with visitors. The mall is in the South-west Bangalore, containing hyper markets, accessories shops, branded collections from wedding to casual and formal wears for all kind of people. Adventure land 6D dark house etc. are there for fun and entertainment. 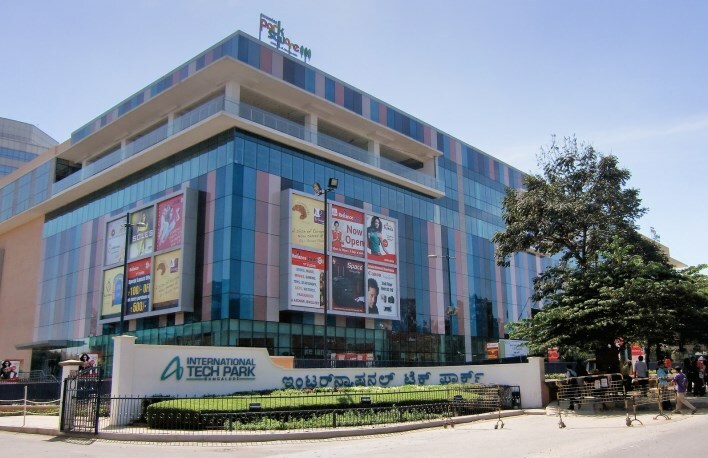 Located within the ITPB (International Tech Park Bangalore), the leading IT Park in Bangalore, the Park Square mall offers a wide range of entertainment and shopping experience that suits the IT city. This mall in Bangalore is designed and developed by Ascendas which is the business space solution provider in Asia. The Fun, entertainment and the food services are amazingly welcoming. The mall also provides multi-level car parking. Enjoy shopping with movies and food in the elegant mall located in Whitefield. The mall has good ambience and contains a wide range of shops. The mall has a large space in the front that provides an open air for people to enjoy the fresh breath of wind. There are multiple central malls in Bangalore, but the one in MG road is the best. The mall is spread across 2,75,00 sq. feet with retailers and food courts. The prices are quite reasonable and people can enjoy an affordable shopping experience. Garuda Mall is a multi-level shopping mall accommodating many shops spreading across 75,000 sq. meters filled with entertainment and shops. The mall has 6 floors with wide range of shops and entertainment zone and food courts serving variety of cuisines to the guest.